The First Stress Reduction System for Christians. Due to popular demand and countless requests from church members and ministers. The very first stress reduction system for Christians. 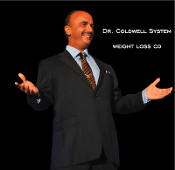 The Champion Package is the end result of 25 years of Dr. Coldwell’s teaching patients, sales people, over 2 million seminar attendees and everyone who needed more self confidence, self esteem and self love. ON SALE All illness comes from lack of energy, and the greatest energy drainer is mental and emotional stress, which I believe to be the root cause of all illness. All illnesses come from lack of energy, and the greatest energy drainer is mental and emotional stress, which I believe to be the root cause of all illness. This audio will help you to create a stress, anxiety and depression proof life. The Only Answer to Success contains a proven formula for changing your mindset to that of a true “champion.”Based on thousands of hours of research and personal experience. 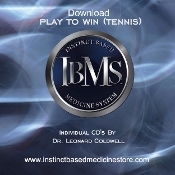 Dr. Coldwell's IBMS Bring Out The Champion CD. 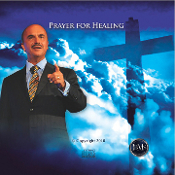 This CD is one of 3 CD's in The Champion Package. 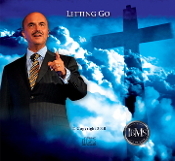 Purchase this CD individually $34.99. 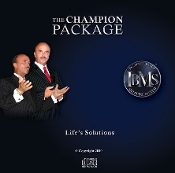 Best Value: The Champion Package: Bring Out the Champion, Take Charge of Your Life, Life's Solutions. Retail $99.00 IBMS™ Fear of Flying CD Eliminate fear of flying, anxiety, panic, loss of control. The System to Take Charge of Your Life, Past, Present and Future. The way to unlimited wealth, success and happiness. 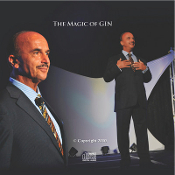 The 3 CD Package Includes The Magic of GIN The Power of GIN and Don't Wish-Command GIN. This is the most powerful neurological self-conditioning session Dr. Leonard Coldwell has ever created. It is the end result of seven years of research and experimentation. Every word, pause, and sound has a specific purpose. The Power of GIN CD Will help you to specify your dreams goals and visions and enables you to unitize your hidden potential and possibilities - this CD will open the world of possibilities up for you. This CD is the ultimate conclusion of all the knowledge of the powers and frequencies that make your dreams come true. You will tune into a completely new frequency of power and fulfillment. 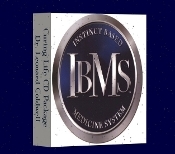 A Replacement CD is available if you have purchased one of the 3 CD Packages and have lost or broken your original CD. Please type in the name of the CD you need in the special instructions box when you place your order. Postage for delvery special circumstances.